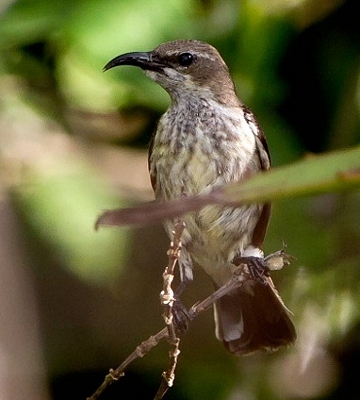 The left upper male was seen in Kenya, courtesy of Stuart Webb; the right upper female, in Bagamoyo, courtesy of Stein Ø. Nilsen. 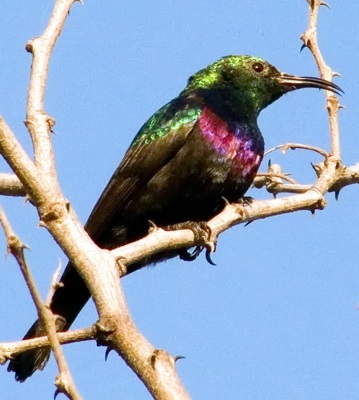 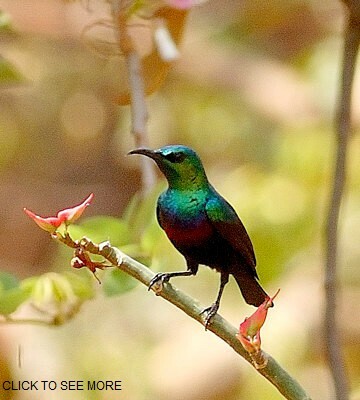 Photos 7-14 in the slideshow (click the right image to see) are of a family of purple-banded sunbirds which fed in the garden of the Lutheran Junior Seminary near Morogoro daily for about a month (10-03). 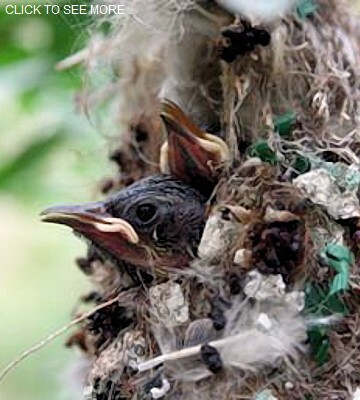 Click the left image to see nest photos, courtesy of Anne Outwater.